Hiya Jussi and nice one. 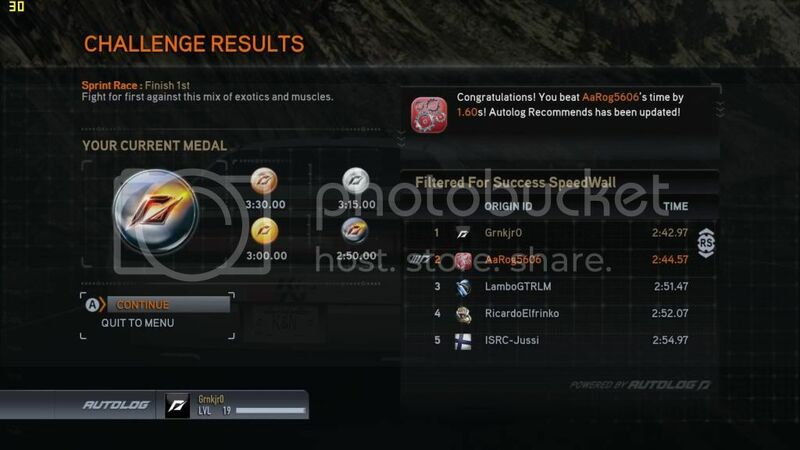 you got to add me in Origin, so I can see your times on my speedwall. This challenge should get unlocked after getting out of Las Vegas at the end of stage 3 of the Run. 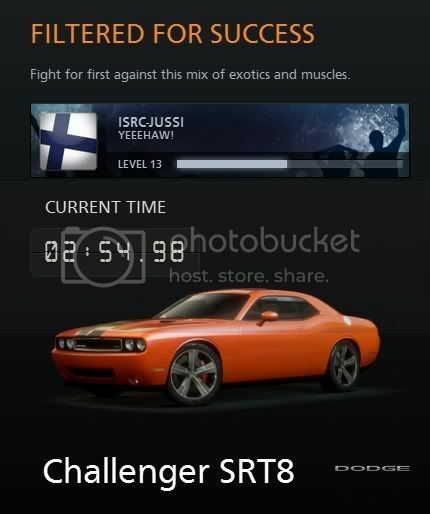 We will use the other challenge sets for our actual The Run Racing Series. Can I post this to Facebook as PBRC advertisement? Hi all. Been a long year for me and my wheel just gathered dust. I have just picked up my copy of Run at the post office and will try my best to get some racing in with this time. Will be installing this weekend. Are there any tips on G27 setups please. So good to see you here again, Brian! We've got a lot of fun races coming with this game. First we do these 3 shakedowns and then we start the rally from San Francisco to New York! The rally will have 10 stages, one from each location (challenge set). My old PC turns the run into jogging and even walking on some stages. So, I'll be choosing the ones with the best frame rate for our first rally. Brian I used the same settings i used in Shift 2 - there is no "better" or "best" setting with a G25 or G27 wheel in this game I think - only what you are comfortable with and used to. Not even sure if there is an advantage from a controller to a wheel or vice versa. Good to see you here in ISRC again and welcome back to our PBRC´s. Jussi is this screen shot not enough conformation/proof? Nice videos and keep up the good work.